Can be installed over radiant heated floors (do not turn up heat above 85 F). Sold by the box, each covers 20 Sq. Ft.
Semi-opaque diamonds form a neutral pattern over a wood grain print. The beige and dove grey design creates the look of a wood floor without the cost and upkeep. Illusion Peel & Stick Floor Tiles contains 20 pieces on 20 sheets that measure 12 x 12 inches. Crisscrossing lines give the look of an intricately tiled floor. The grey and white geometric design will add modern detail to any room in your home. Kikko Peel & Stick Floor Tiles contains 20 pieces on 20 sheets that measure 12 x 12 inches. Quilted-style stars are interspersed with diamonds in this red and black design. These floor tiles will add a pop of color and cozy feel to a room. Orion Peel & Stick Floor Tiles contains 20 pieces on 20 sheets that measure 12 x 12 inches. 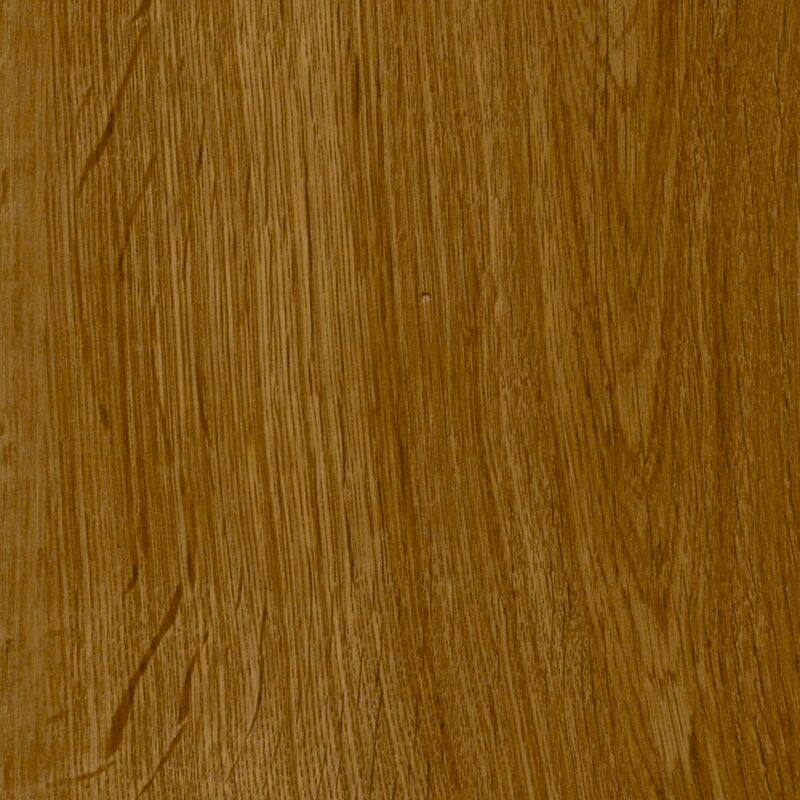 Markum Oak Medium 7.5-inch x 47.6-inch Luxury Vinyl Plank Flooring (19.8 sq. ft. / case) is rated 4.3 out of 5 by 43. Rated 5 out of 5 by David from Bought this flooring because I had put in a room of it 5 years ago and wanted to tie the new floo... Bought this flooring because I had put in a room of it 5 years ago and wanted to tie the new flooring with the existing flooring. Found out that the manufacturer changed the way the flooring planks attached together. Could not blend to existing flooring. That said, the Allure Ultra flooring went down as easily as the original job. Great looking floor when finished. Rated 1 out of 5 by Elizabeth from I rate this product as poor. Several months after installing... I rate this product as poor. Several months after installing over $4,000.00 of this flooring, it began to separate. The manufacturer sent an expert to do various tests on the floors, and his conclusion was that our slab was uneven and this caused the problem. I had to purchase over $400 in new flooring and pay an installer $500 to correct the problems. He did not find our slab to be uneven to cause the problems. I do not recommend this flooring and wish I had not purchased and installed this product. Rated 4 out of 5 by Amber from Love this floor. We put it in in the basement... Love this floor. We put it in in the basement five years ago and decided to redo our kitchen with it recently. The only negative is we had a left over box from the basement we tried to use and they've sense changed the width and height of the locking mechanism so it wouldn't lock together. Rated 2 out of 5 by Sam from We purchased this floating vinyl plank flooring for our entire house. The product did not snap to... We purchased this floating vinyl plank flooring for our entire house. The product did not snap together as easily as represented by salesperson or product directions. About half way through putting down the floors, we realized some of the boards were warped. This was one reason the boards would not come together well and stay. It has been about 11 months since we installed the flooring, and many of the boards have come apart, expanded so that the grey colored seams that snap together are showing. This flooring was not inexpensive, and we are disappointed with the results in installing and how the floors look a year later. Would recommend future customers choose another product. Rated 5 out of 5 by Alex from Very easy to install. I like the flexibility to make it an easier cut. I like the quality and dur... Very easy to install. I like the flexibility to make it an easier cut. I like the quality and durability of the material. The color looks great in the rooms installed. I would definitely recommend it to my friends and family! Rated 4 out of 5 by tevo from Installed over 2100 sq ft in our ranch style home on a concrete foundation. It's almost four year... Installed over 2100 sq ft in our ranch style home on a concrete foundation. It's almost four years old and holding up very well. We have felt pads under all furniture and have very few surface scratches. Though I would rather have real hardwood, the vinyl plank is more practical living with indoor pets. The fact that it's water resistant is important to us because it's easy to keep sanitary. Though obvious it's not wood, it still has the same warm appearance. When the dishwasher leaked, there was no damage to the floor. It was bad enough that had I chosen hardwood or laminate, repairs would have been required. Overall pleased so I'm ordering an additional 400 sq ft to replace the last of the carpeting in the sun room. Rated 5 out of 5 by curiousburke from I looked at a lot of samples and this was... I looked at a lot of samples and this was they very best when it comes to looking and feeling like real wood. Installation was easy and it looks great. My only complaint is that there is a limited number of distinct planks, in fact only 4; however, they also have the reverse of these 4, which is almost like have 8 distinct planks.